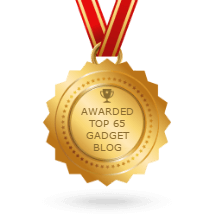 Nowadays Android phones and tablets are made for a variety of the task. 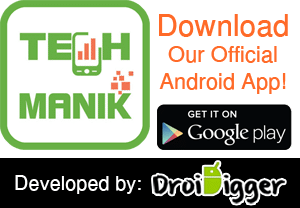 As a result, you can do a lot of things with your devices, and you can make music through your Android device and you can add an extra beat to your songs. You can use your Android phones and tablets as a great tool of a music maker. If you are music lover then you can find it awesome. Make your music more enjoyable and live with a music making app. Google Play Store are the main source of apps, so you can find hundreds of music making app there. No doubt, you could be confused between them. For your great experience, we have reviewed the 10 Best Music Making Apps for Android. Choose your favorite one as your demand. Walk Band is one of the Best Music Making Apps for Android. It’s a very popular app from the Top Developer of Google Play Store. With tons of features, Walk band will provide you the amazing experience of music making. Piano with 88 keys, Single and Dual row mode, Tow player mode, five keyboard sound with multi-touch. Guitar with solo and chord modes. Drum kit for extra bass and beat with five drum kit program. Drum pads mode with various demo beats. 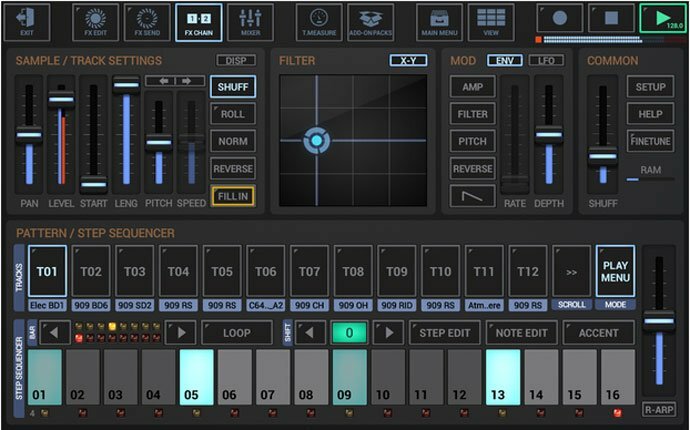 Drum machine to create your own beats with the all basic and advanced tools. 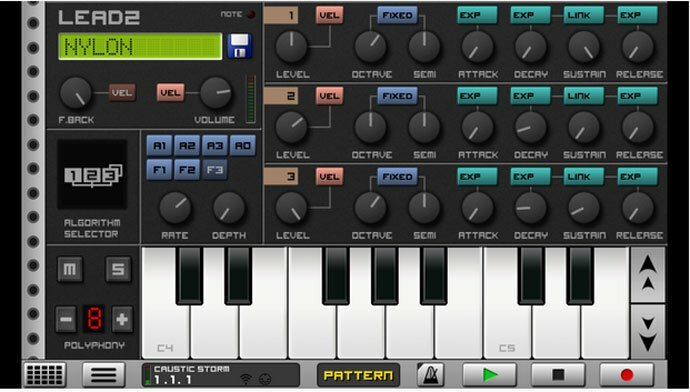 Walk Band also provides you Bass system, multitrack synthesizer, and mixer, External midi keyboard, Sound plugins and etc. Music Maker Jam is also one of the most popular and Best Android Music Making Apps. With more than 25 million downloads and a good number of rating, Music Maker Jam is very popular all over the world. Make your music creation easy with thousands of studio-quality loops, beats, and melodies. It has more than 200 music style packs including Rock, Pop, Hip-hop, Jazz, Funk, Drum, and Bass. On the other hand, using combine samples from different music genre, you can create your own unique sound. Create creative music by Music Maker Jam and share it easily. Huge resources for a DJ lover. DJ Studio 5 is a complete pack for the music lover. Create your DJ music by using DJ Studio 5. It has all the basic tools and advanced tools for a perfect DJ music. 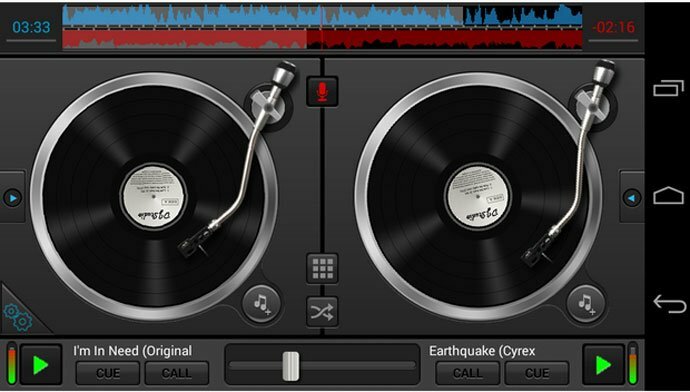 By using your mp3 music library, make a DJ song with the auto-mix feature. 2 cross fader and you can customize them with 7 skins. 8 sounds effect, 3 band equalizer for each deck, and 10 sample pads and can be customized. Search and access your music library and share your creation easily. For the beat lovers, Drum Pads 24 is a Good Music Making Apps. 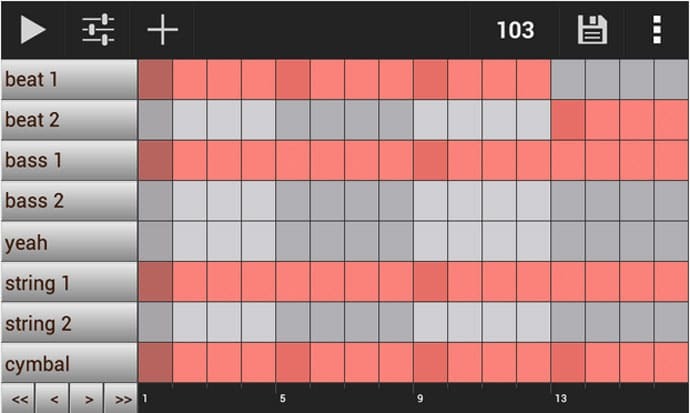 Make your music by tapping 24 colorful pads very easily. Huge collection of 1800 plus sounds in a different genre. All the genre you need, you can have with this app. Create music by using their samples from the library. Updated list to have new music every month. Video tutorials for beginner and idea for the advanced beat maker. Find the control with 4 rhythms slots and 16 steps. Mix sounds between Scene A and Scene B with drug patch feature. Create music with G-Stomper is more fun and easy. Tons of basic and advanced tools will let you make some good music. Sample based drum machine with 24 drum pads, also available for live performance. High-quality audio engine and graphical sample audio editor. G-Stomper also provides you 24 channels for mixing, 3 Chainable effect unit, 2 Sum effect unit, Timing, and Measure. On the other hand, you can have real-time sample modulation, per track multi-filter, Sound cloud upload integration. Caustic 3 is an amazing music creation app. It is a simple and easy music maker for the beginner. Feel free to create your own music with Caustic 3. You will get analog subtractive synthesizer. Record your own audio for samples. Multi-sample wave synthesizer. 8-Channel drum machine. Harmonic table pad and 8bit equation solver. Tonewheel organ with the rotary speaker. At the same time, you can have Effects rack, Mixer desk, Master section and Song sequencer. 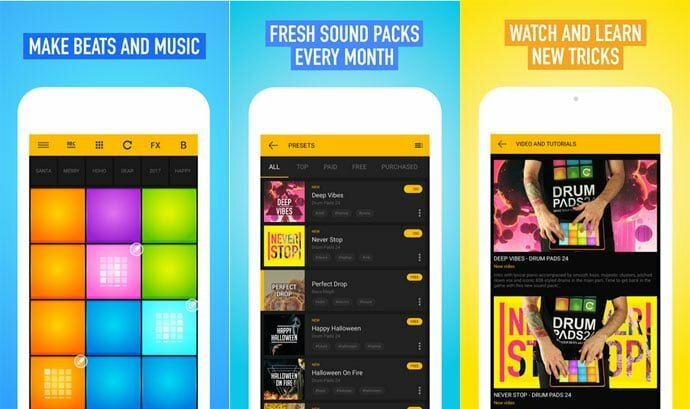 It’s time to solve your music creation problem with one of the Best Music Making Apps for Android. The Grove Mixer is a very good music and beat maker. Use their thousands of features to make your music. 256 patterns for the drum machine and volume mixer, also support Stereo mode. Piano with all the basic and advanced tools. Easy interface, Classic and Linn Drum kits, Sample preview before using, and Unlimited Song length. 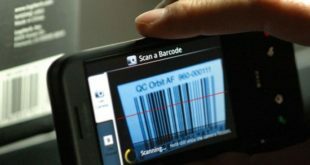 Use it without any restriction and very easy and friendly interface to use. Remix your favorite song with Remixlive. Easy and useful music making apps from the top developer of Google Paly store. Remix your song like a professional with Remixlive professional toolbox. Use real-time finger drum. Through your device’s microphone, record your audio and create a unique song by using samples. On the other hand, Rimixlive also allows you to perform live. For your creative song making, you can remix their toolbox and edit their samples. Break your barrier and create your innovative music with BandLab. BandLab is a growing community of music, so as a beginner you can get a lot of experience in this community. Record your music, edit it with tons of BandLab features and share it. Built-in tools like Guitar tuner and Metronome. BandLab Community is always ready to share their experience and music for your help. Work with them and create your own, and you can also collaborate with them. MixPad is an easy way to create electronic remix DJ music. Add real-time beat and mixing with 12 creative one shot sound pads. 30 drum pads with original music loops. Studio-quality PRO DJ sound effect and different samples from different producers. Other important features, such as Auto-play mode for automatic music making and performance, High-quality unlimited audio recording for DJ mix. Updated database, Support all the format of audio, fast navigation, Easy to use and Full HD. 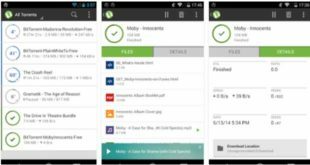 Finally, we have complete our article with these Best Music Making Apps for Android. 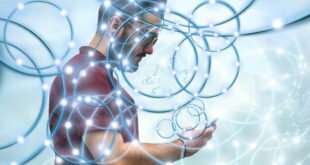 Each and every single app has some unique features to get your interest. Choose your desire one, on the base of your demand. 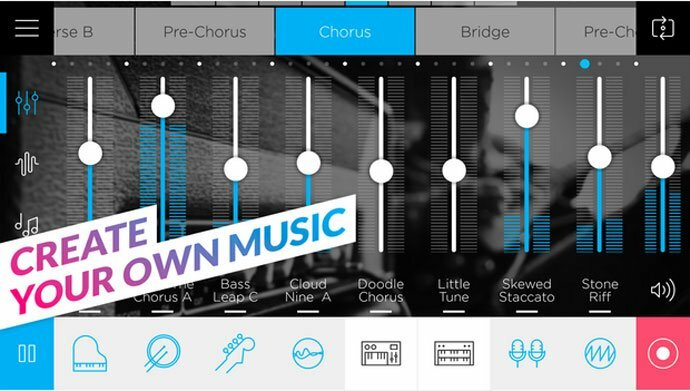 Making music is not an easy task, but you can make it easily with one of these music-making app. Enjoy your music making experience with the best one.